Alison @ The Polo House is hosting Favorites on the First, and she wants to know our favorite Thanksgiving recipe. I've already shared two of my family's favorite Thanksgiving recipes, Big Mama's Dressing and Buttermilk Pie. But my favorite recipe is Sweet Potato Soufflé. 1. Place sweet potatoes in a large saucepan; cover potatoes with water. Cook until very soft; drain, peeling while warm. Put in large bowl. 2. Combine evaporated milk, butter, and sugar in a small saucepan over medium heat, stirring until butter melts. Add to potatoes, and beat at medium speed of electric mixer until cool enough to add eggs. Whip together real well, adding vanilla and cinnamon. The beaters will pick up the strings from the potatoes making it a wonderfully smooth soufflé. 3. Pour into a lightly greased 10 inch round casserole. Bake at 325 for 40-45 minutes or until set. Cover top with miniature marshmallows; bake until brown. Freezes well. 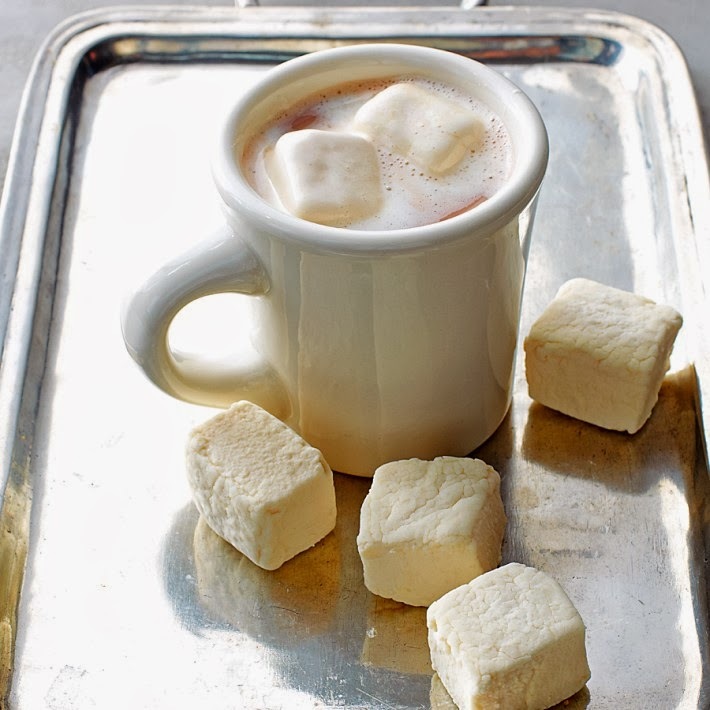 If you really want to make your soufflé special, use artisan marshmallows on top! I suggest these from Williams-Sonoma. What's your favorite recipe for Thanksgiving? This sounds too good to be true! Thanks, I may try it this week! Now that is a recipe I like. Sounds good and not alot of ingredients. Thanks for sharing. YUM!!!! I do love those large chunky homemade style marshmallows too! Worth every penny at Williams Sonoma! Thanks so much for linking up! Hope you are enjoying your Sunday, Rick Jill.